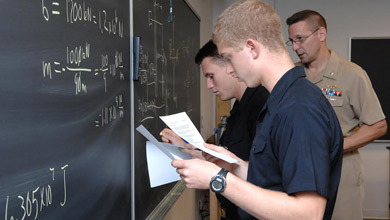 The Division of Mathematics & Science provides midshipmen the opportunity to gain knowledge and skills in Mathematics and Science to become aspiring naval officers. 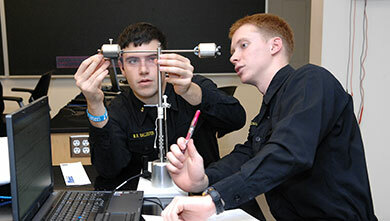 The core courses of Mathematics, Chemistry, and Physics are taught to all midshipmen to aid in their understanding of the universal scientific principles basic to modern technology and to enable them to succeed in any of the Academy's technical majors. 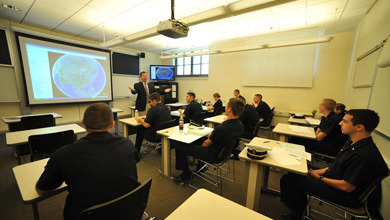 The Division also provides the full educational value of majors for those midshipmen who choose to specialize in the fields of Chemistry, Computer Science, Mathematics, Oceanography, or Physics. 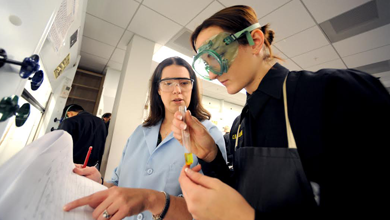 Interested in finding out more about Chemistry? Interested in finding out more about Physics? Interested in finding out more about Oceanography? Interested in finding out more about Mathematics? Interested in finding out more about Computer Science? 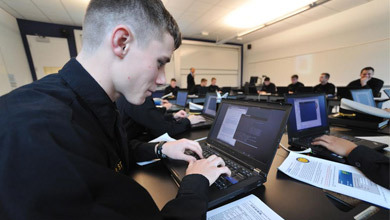 Interested in finding out more about Cyber Science?